I managed to germinate some kiwi fruit seeds and in two of my pots I got two different plants. In the first pot I thought that the different plant was a weed and I eliminated it, but now a different plant has emerged in a second pot, so I suspect they are male and female kiwi plants. Does anyone know to confirm whether they are male / female kiwi plants or if the different plant is even a weed? Could anyone tell me if the taller plant is a Kiwi male or female plant? I'm in contact with friends who have access to trees of this species. We are monitoring the fruits development and probably I will have available seeds in a few weeks. In general, the fruit has an acidic flavor, but there are some variety of trees that produce slightly acidic fruits , even having reports of people who describe it with a slightly sweet taste. Also some pictures of my seedlings of seeds that my friend brought to me last year. I have seeds of this Psidium available. 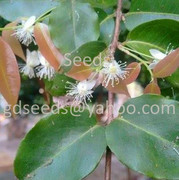 I have Theobroma grandiflorum seeds available for sale. 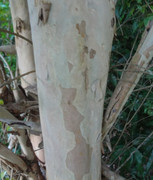 Very recalcitrant, so if you want to have a cupuaçu tree in your backyard, contact me as soon as possible. Please, send a PM if you want any of these species. 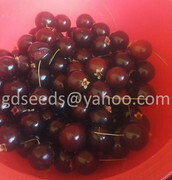 Psidium eugeniaefolia seeds harvested today available for selling. Juicy, sweet with a slight acidity. Intense red juice filled with anthocyanins. I loved it! 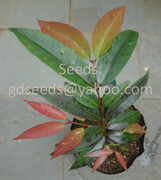 I have 70 fresh seeds of this very rare Psidium spp available for selling. USD 6 each (minimum 7 seeds). Interested friends, please send me a PM. Fruit taste is sweet with a slight acidity common in the psidium species. Very fresh Bromelia seeds (Gravatá fruit) available for selling. I have very fresh Butia palm seeds. I would be glad if someone could help with species identification. A friend suggested Butia odorata, but I'm not sure. Fruits are very aromatic and have wonderful taste, juicy, sweet with a bit of sour taste. I loved it! Hi, could anyone help to identify this avocado cultivar? Unfortunately I have only seed pictures by now. I will try to get other fruits to take fruit pictures. 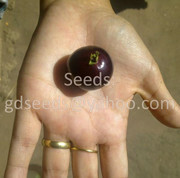 Hi, I have Passiflora tenuifila seeds available. Fresh Eugenia stipitata seeds available. I just have 12 seeds now but I will try to get more fruits in the next weekend. Very aromatic fruit and wonderful for juice. Interested people please PM me. 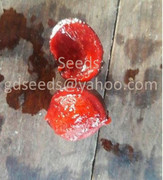 Hi, I harvested some Dypsis decaryi fruits yesterday and I have fresh seeds available for sale. U$$ 3 ea (minimum 10 seeds) + shipment cost. Hi, I have Annona crassiflora seeds available for sale. A delicious fruit, wonderful sweet taste and very aromatic how you can observe in my first time eating experience video, recorded 3 days ago. I'm in contact with a friend who have a Duguetia lanceolata tree in his farm here in Brazil. We are monitoring the fruits development and possibly I will have seeds availabe in January 2017. So, if you are looking for it, please, get in touch by PM. Now we have a lot of little fruits growing in the tree.